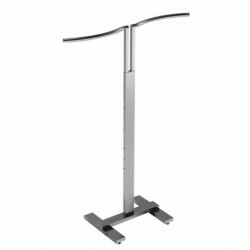 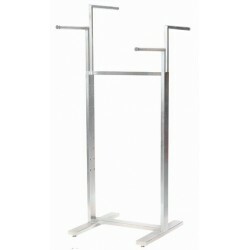 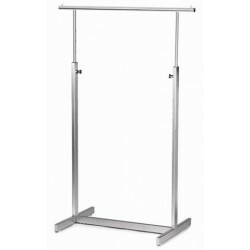 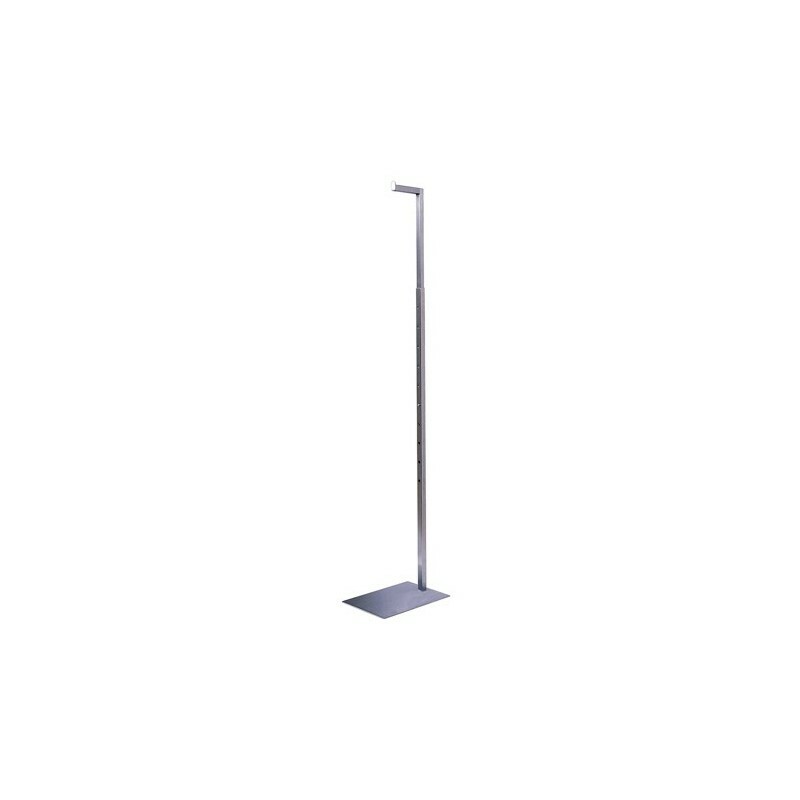 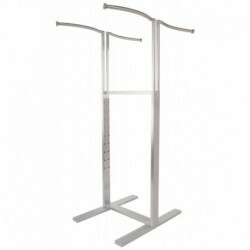 Adjustable in Height from 49" to 78"
Satin Chrome Finish Adjustable Height Costumers for clothing forms. 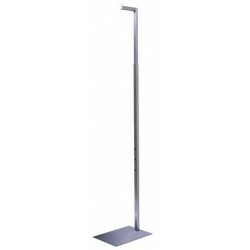 These economical costumers are used to display childrens as well as adult hanging forms. Adjusts every 3" from 49" - 78".